The charm of Dubai is too irresistible for people from different countries to move there for work or business. UAE’s prominent cities like Dubai and Abu Dhabi, over the years, have embraced the modern aspects of a city while still embracing the traditional ways without any conflict. For those who go for jobs in UAE, are attracted by the greatest advantage of salaries being tax-free in places like Dubai. Thus, it has become a hotspot for expats who are looking to earn good and make a good career jump. 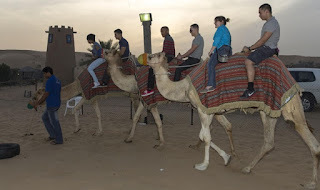 Have you ever been to UAE before? If not, you can expect to experience some kind of a cultural shock. Dubai looks very modern at first, with a lifestyle which you can compare to some of the big cities in Europe; but as you begin to live there you will understand that there are many small differences. These differences, though, should not prevent you from moving there as they are mostly unnoticeable. You might be surprised that the majority of the population speaks English fluently, even though the official language there is Arabic. So, if you are someone who can speak English, there is no problem of language while communicating with others in UAE. It is the same case when you are in the workplace. Nearly all the companies use English as the language for communication at the workplace and this should make you feel at home. You need to understand the salary that would support the lifestyle that you are generally acquainted with. If you get a salary that is not enough to maintain the lifestyle that you are now living, it would be meaningless to move to that place. Normally, organisations in UAE pay a lot for good resources, and with tax-free salaries, it should be more than enough. The most important thing to consider before moving to UAE is to understand the laws they have. It is usually illegal for two unmarried couples to live together. Public display of affections like kissing and cuddling are not allowed. Any physical relationship outside of marriage is a big no and if you are found sharing a hotel room with someone other than your spouse, then you might even get deported for it. That is something that needs no explanation. You should be well-prepared to bear the heat during the summers. It can go up to 48 to 49 degree Celsius in the peak summer days. But, if you can bear the heat for just three to four months in the peak summer season, the rest of the year makes up for it with cool climate of 27 degree Celsius. You must be conservative about the dress code that you follow while you are in public. The rules are very strict when it comes to females; they cannot wear anything that is revealing like sleeveless clothes, short tops, backless dresses and see-through clothes. Pants should cover till the ankles for both men and women. Of course, your company will let you understand about the dress rules they follow at the time of joining. There are rules that prohibit the drinking of alcohol in public places in UAE. In some cases, it is not even allowed to drink at home without the use of a license. You would be surprised in some place of UAE like Dubai, if you have the perception that there is no night life out there. There are some places where you can have an entertaining time with your friends. There are endless things that would provide both awe and excitement to you. It is not just a desert filled with majestic buildings and modern establishments. It has sandy beaches and palm trees. It is a haven for foodies. Every culture is different and traditions change from place to place. If you can adapt and respect differences, you can be successful anywhere. Hasib writes for naukrigulf.com. Follow him @ twitter.